Welcome to Edition 1.32 of the Rocket Report! As we get deeper into the new year, the launch business is starting to heat up, especially among the smaller rockets. Companies are eyeing launch sites, securing launch contracts, and scrambling on development of their rockets. This is simply going to be a huge year for small-sat launchers, and we’re going to do our best to stay on top of everything. Iranian small-satellite launch fails. The third stage of an Iranian Simorgh rocket failed Tuesday, preventing the booster from putting the 90kg Payam satellite into orbit. Prior to the launch, Iran said it intended to send two nonmilitary satellites, Payam and Doosti, into orbit. The Payam, which means “message” in Farsi, was an imagery satellite that Iranian officials said would help with farming and other activities, the AP reports. China firm scores smallsat launch win. Via the China Great Wall Industry Corporation, China’s new Long March 6 rocket has won a major commercial launch contract, with an agreement for up to six flights over two years to deploy 90 small remote-sensing satellites for Argentina-based Satellogic. The contract comes amid increased competition in the smallsat launch market, Ars notes. 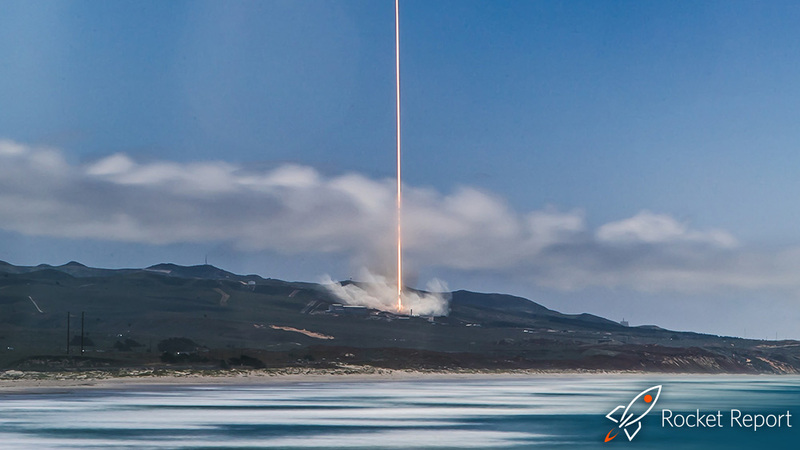 Launch availability cited … Emiliano Kargieman, the founder and chief executive of Satellogic, said the company looked at a range of launch providers, including Rocket Lab and other emerging companies. “With all of the small-launch companies coming online, we will definitely consider them for future plans,” Kargieman said. “But for the rollout we need to do in the next 24 months, this relationship gives us the best option for meeting that goal.” China-based Tencent has helped raised money for Satellogic. SpaceX cuts workforce to get “leaner.” SpaceX will lay off up to 10 percent of its work force, the company said Friday evening. The company characterized the job cuts as “a strategic realignment” designed to ensure it is positioned to succeed for the long term, Ars reported. Although some reports said up to 850 people were terminated from a workforce of about 6,000, SpaceX said that the cuts were capped at 10 percent. From development to operations … “To continue delivering for our customers and to succeed in developing interplanetary spacecraft and a global space-based Internet, SpaceX must become a leaner company,” a company official said. These cuts were not unexpected. SpaceX had grown rapidly, needing to engineer Falcon 9 various iterations, Dragon, Dragon 2, Falcon Heavy, Starlink, Starship, and more. Now it is done with development of a lot of those projects and no longer needs to build hundreds of Merlin engines or dozens of Falcon 9 cores a year. Same with Dragons. So SpaceX needs fewer people in production. When you hear about low-cost rockets and reuse, that means fewer people are needed. Arianespace faces a challenging year. Amid increasing competition and a downturn in geostationary-satellite orders, Arianespace must find commercial customers for its new Ariane 6 rocket. “For Ariane 6, we aim at 14 launches [for the first model], so production has to start very soon for these, and this has to be ordered very rapidly,” Daniel Neuenschwander, ESA’s director of space transportation, said this week. Seven of those launches are meant to be commercial, SpaceNews reports. India targets midsummer for reusable second-stage test. “We are working on a reusable launch technology in order to recover the first and second stages of a rocket so that we can reuse them to cut cost and carry heavier payloads,” the chairman of India’s space organization, Kailasavadivoo Sivan, told Times of India. The first stage will land like SpaceX’s Falcon 9 rocket, but the second stage will be shaped like a miniature space shuttle, gliding back to Earth and landing on a runway. A helicopter test … Sometime in June or July, the Indian official said, a helicopter will drop a mock-up of the second-stage shuttle from a “considerable height” to determine its ability to glide back to Earth. An additional test from orbit would be conducted at a later date. This is an interesting approach to rocket reusability, so we’ll look forward to this test with interest. An interesting start … Companies are rated on a scale from 9 (hello SpaceX, United Launch Alliance, and others) to 0 (mostly un-funded startups you’ve probably never heard of). The SpaceFund “should not be used as the sole basis of any business, investment, or partnership decision.” It is not clear how this effort will handle conflicts of interest, but we do appreciate the effort to bring some clarity to this diverse and rapidly changing launch industry. Although some will certainly quibble with the ratings, it strikes us as a reasonable first stab at a moving target. Test stand for SLS rocket “Green Run” almost complete. Activation of the B-2 test stand at Stennis Space Center in Mississippi for the “Green Run” test campaign of the first Space Launch System Core Stage is almost complete. NASA and its contractor workforce are moving into practice and simulations of the upcoming tests while finishing up remaining tasks, NASASpaceFlight.com reports. ULA sets new date for Delta IV Heavy flight. After multiple delays, United Launch Alliance said this week that “everything is progressing” toward the Delta IV Heavy launch carrying the NROL-71 mission for the National Reconnaissance Office. The mission is set to lift off on a Delta IV Heavy rocket on Saturday, January 19, from Space Launch Complex-6 at Vandenberg Air Force Base in California. Ready to go? … Launch time is 11:05am local, Pacific Time. Weather currently is 60 percent go. This is an important mission for ULA, which was originally scheduled to be launched in September before being scrubbed for various technical and weather reasons, including a hydrogen leak, in December. Watching a Delta IV Heavy launch is always good value. Vulcan rocket design “nearly fully mature.” United Launch Alliance will conduct the final design review for its new flagship Vulcan rocket within months, it said on Wednesday, Reuters reports. “The design is nearly fully mature,” ULA systems test engineer Dane Drefke said during a tour of Space Launch Complex 41 at Cape Canaveral Air Force Station in Florida. The final design review is a critical step toward reaching Vulcan’s first flight in early 2021.